This county road comes off the main one just at Lower Machen and takes you into Draethen and onto Rudry or South to Michaelstone Bridge. The stone bridge shown here is still in use though it's in need of lots of repair. Being so narrow the side walls have taken the brunt of everyday traffic and you can just see the steel framing in place. 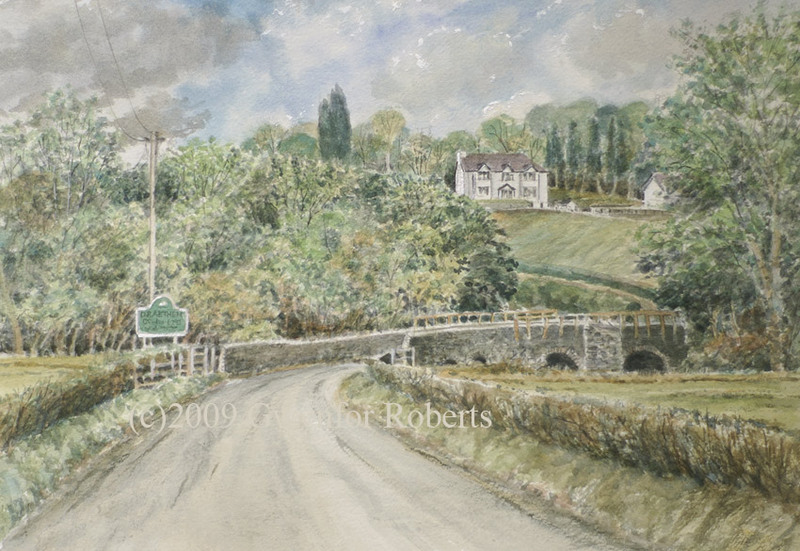 The bridge spans the Rhymney river and reminds me of the stone bridge at Ystrad Mynach which I painted back in 1981 - that one has long gone.